Lee bed and breakfast travel guide for romantic, historic and adventure b&b's. 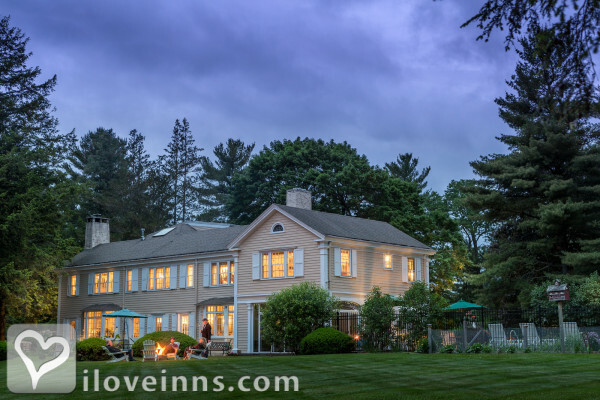 Browse through the iLoveInns.com database of Lee, Massachusetts bed and breakfasts and country inns to find detailed listings that include room rates, special deals and area activities. You can click on the 'check rates and availability' button to contact the innkeeper. The Town of Lee is perfectly situated to reach any of the Berkshires many cultural attractions. Tanglewood, The Norman Rockwell Museum, Jacobs Pillow, Shakespeare & Company, and so much more are all nearby. For the active adventurer, horseback riding, ballooning, downhill and cross-country skiing are all within minutes. Greenock Golf Club, hiking, biking, archery, fishing and kayaking are all readily available throughout the Berkshires. Berkshire Outlet Village, Memorial Hall and October Mountain State Forest are additional attractions. By 1800 Devonfield Inn, an English Country Estate.